How do you keep up to date, current and sharp in your area of expertise? It’s imperative folks keep up to date with growing trends and technologies. Some night classes/extended education at a local CC might be a good start. Search out the curriculum and see if anything relates! Check with your local library for happenings in the area related to education and job training. With the local colleges, the library can be beneficial as well with local event information. Join in on forums at niche sites. Become an expert and network with folks similar to you. They might mention some near conversations about new trends. Read journals, blogs and trade publications. Stay fresh. Media is the fastest way to do so. Setup a Google news alert and check the headlines daily. Maybe use some leading companies in the industry as one of your saved searches as well. 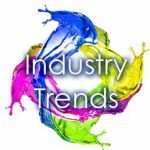 Industry titans set trends and are constantly in the news. Staying in the news is a way to stay in the know. I cover all this and much more in depth when I do my career coaching sessions with outplacement clients.